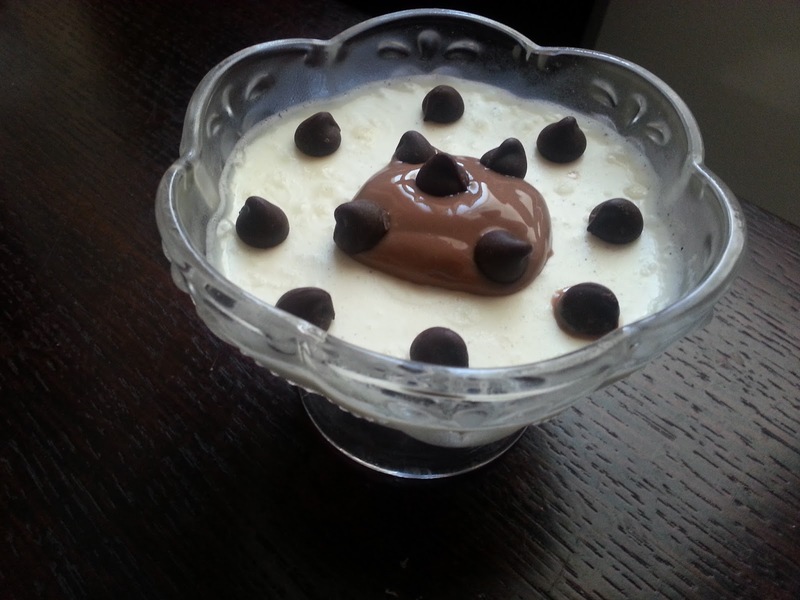 Panna Cotta is an Italian dessert and the name simply means cooked cream. 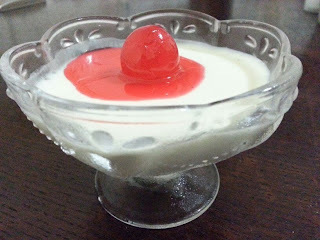 This is a very simple, very easy, very quick and very tasty dessert. It takes just a few minutes to prepare it. It is so smooth and creamy. 1. In a small bowl add cold milk. 9. To serve top with fruits or berries or fruit sauces or chocolate syrup. I used a glazed cherry and strawberry syrup. I also used chocolate sauce with chocolate chips.